Marolyn Pich Passed Away :: RickeyStokesNews.com! 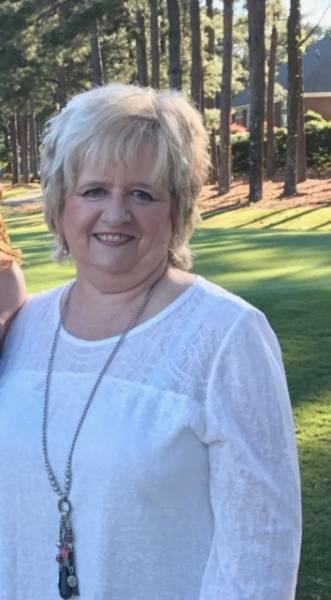 Marolyn Pich, 73, of Dothan, Alabama passed away Tuesday, April 3 at home surrounded by her loving family after suffering a brief illness. She was born 3 minutes after her twin sister, Carolyn (Horne) Benton, as Marolyn Horne, to the parents of Floyd and Lena Horne of Newville, AL as the last of 8 children. She was preceded in death by 6 of her sisters, L.E. Elizabeth Ward, Christine Parker, Mollie Tindol, Betty McNeal, Vivian Enfinger and her brother Bill Horne. Her husband of 55 years, Frederick A. Pich, Jr. survives her as well as her 3 children, Drs. Fred (Kristy) Pich III, Kathy (Allen) Parish and Melinda (Dr. Michael) Williams. She was a fun-loving granny to 5 grandchildren, Christie (Johnny) Hudson, Andrew Morris, Madison Williams, Morgan Williams and Ian Pich. She also had a special bond with her niece, Wendy (Mil) Tatom. For 35 years, Marolyn and Fred owned Foreign Car Center in Daleville. In her free time, she was an avid shopper and loved to spend time in Biloxi, MS with her husband. She had an outgoing personality who wasn’t afraid to, “tell it like it is”. Marolyn also enjoyed fishing on Lake Eufaula, cutting up and laughing with her family and talking for hours with her twin sister Carolyn who was her best friend. Marolyn has gone home to be with Jesus much too early, (which may be a first as she was known for being “fashionably late”) but her family will miss her fiercely just as they loved her. Funeral visitation will be held Saturday, April 6 at 1pm followed by memorial and graveside service at Ward Wilson Funeral Home. Family would like to extend their deepest appreciation to the physicians, nurses and staff at Southeast Health for the amazing support and care she received during her illness. A special thank you as well to Ms. Doni Pitcher and Mrs. Brandi Reynolds of Alacare Hospice; and Joey Pilcher of Dothan Ambulance Service who made it possible to grant her request of being at home in her final hours.